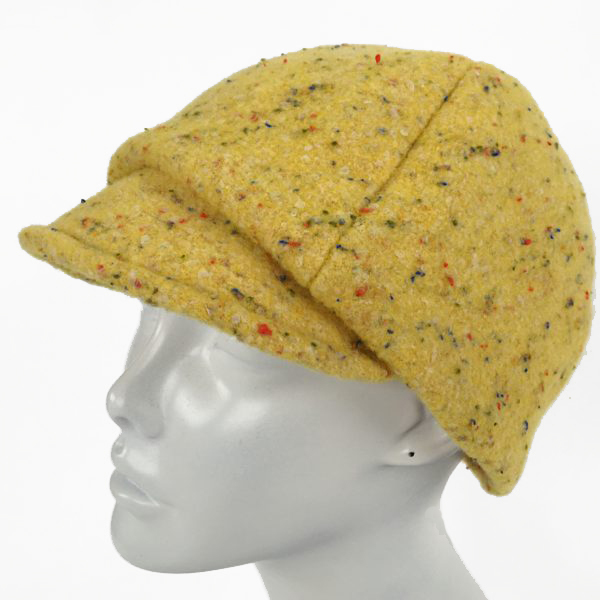 Our mod cap is modeled after the music and dancing and free women of the sixties. 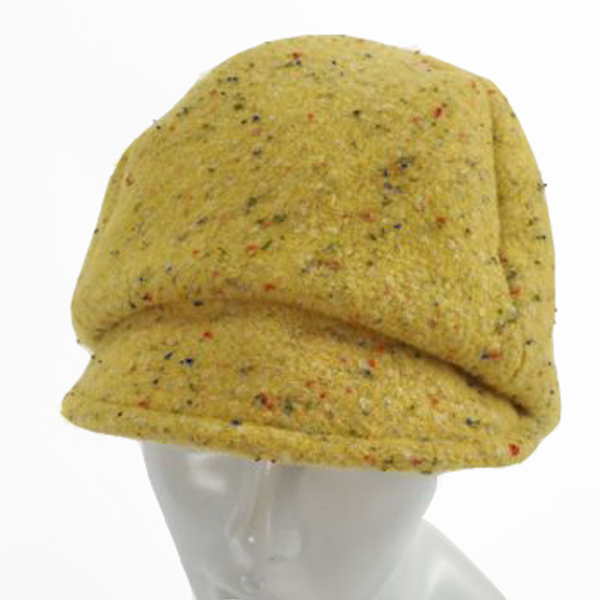 We make the fabric of this hat by layering merino wool on top of a wool woven fabric and felting the two together on our FeltLoom, It is then cut and sewn to a pattern Nora created. Because this hat is fitted with an adjustable drawstring, it fits almost every head. Cheery and casual, yet unique and irrisitible, you can wear this hat every day, everywhere.